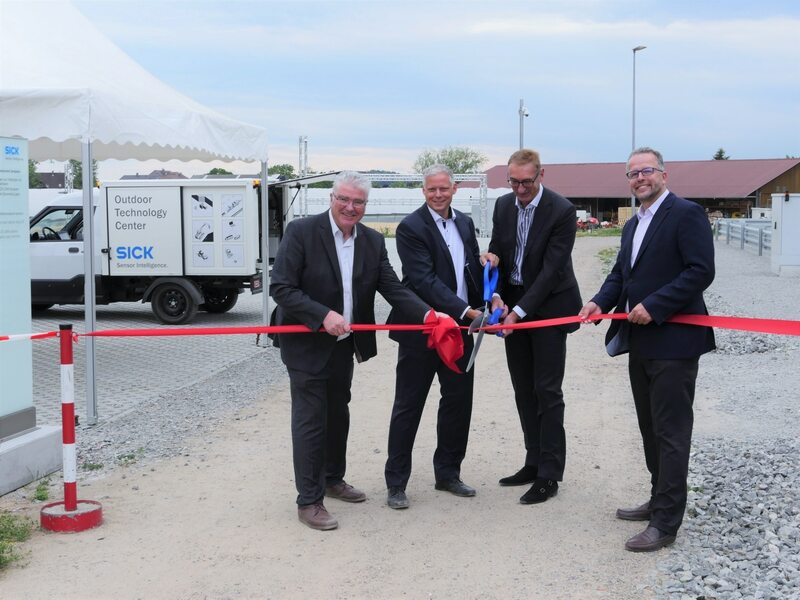 Waldkirch, July 2018 – SICK AG has inaugurated a new test area on the grounds of its Distribution Center in Buchholz for products and solutions in outdoor use. SICK will test its sensors under real conditions, and allow customers to experience them in action at the new Outdoor Technology Center. SICK product solutions will be tested on the grounds of the Outdoor Technology Center for their availability and robustness under harsh operating conditions, for example on mobile work machines used in the construction, agriculture or traffic industries. 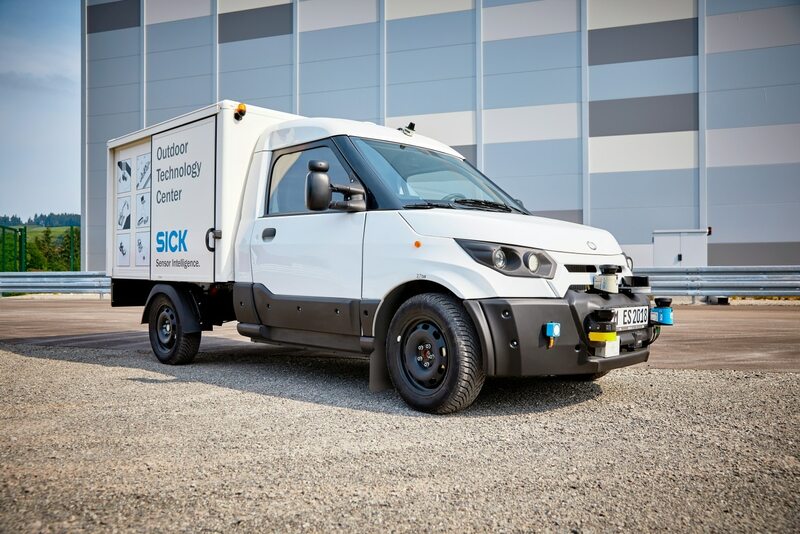 Sensor solutions for outdoor automation applications will be tested at seven test areas using mobile test vehicles and stationary applications to enable further development of products and solutions. Employee and customer training, as well as customer presentations, will also take place at the Outdoor Technology Center. The various thematic aspects examined cover a large number of applications including, for example, rake detection for processing crops and mowed material on agricultural machinery; driving assistance systems; and the comprehensive monitoring of vehicle surroundings in order to increase safety during outdoor work. The knowledge gained at the Outdoor Technology Center in Buchholz will be merged with data from existing test stations to create a complete scenario for outdoor automation solutions. 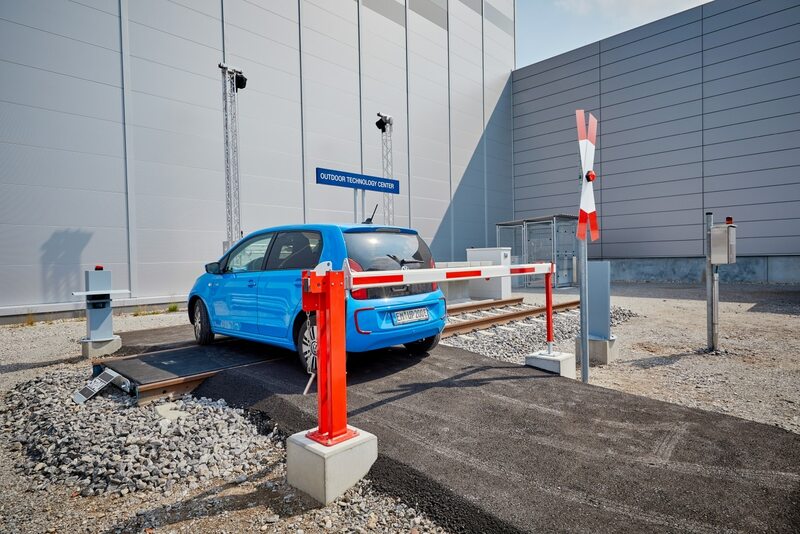 In addition to the Outdoor Technology Center in Buchholz, SICK already runs a test area for traffic monitoring at Stans in Switzerland, a rain chamber at the Reute site, and a fog chamber at its Headquarters in Waldkirch. 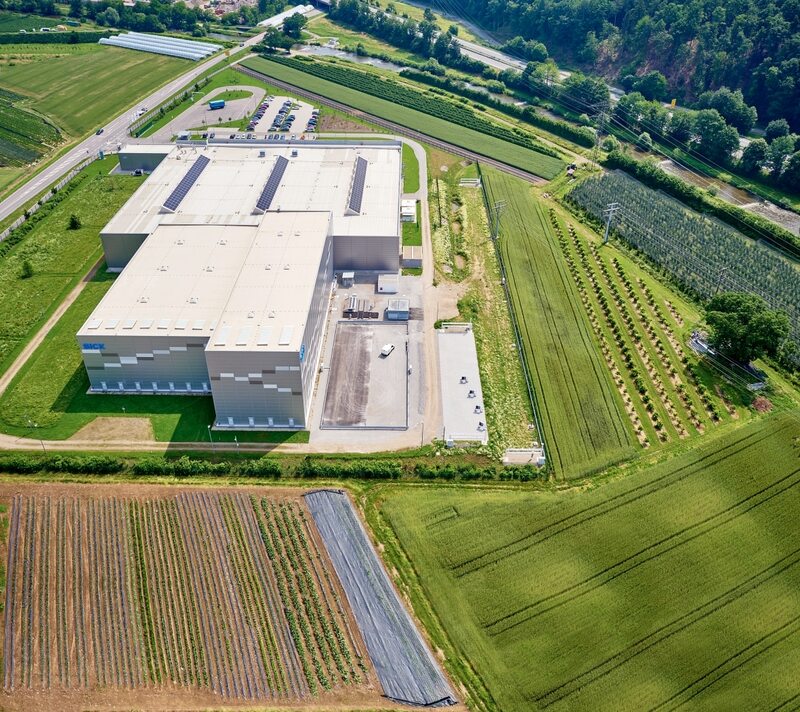 SICK AG expanded its logistical network in Europe and ensured future growth with the opening of its Distribution Center in Buchholz in February 2016. The highly automated warehouse with an area of 11,000 m² is the logistical hub in Europe. More than 40,000 end-customers in Europe and the SICK subsidiaries worldwide are supplied directly from Buchholz, where about 90 personnel are employed. The new SICK Outdoor Technology Center is located in the south of the Buchholz Distribution Center. From left to right: Gerhard Mutter (Logistics Automation), Joerg Kibbel (Project Manager), Reinhard Bösl (Executive Board Member) and Lars Friedrich (Identification & Measuring) open the Outdoor Technology Center.